Our values of compassion, dignity, excellence and faith guide us as we work to ensure the residents’ have a positive lived experience while living at Salem Home. The Resident Bill of Rights and Responsibilities ensure that resident rights are protected and respected. We are accredited through Accreditation Canada. This means we meet nationally develop organizational and care standards as measured against other long term care facilities. 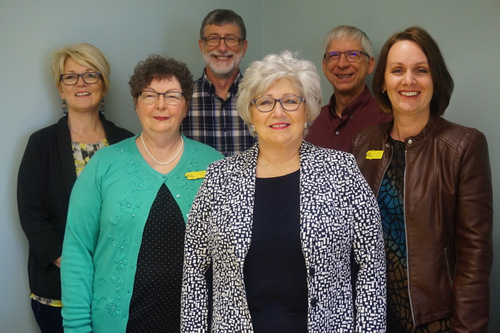 In 2003, the Behavior Treatment Unit was recognized by Accreditation Canada as a Best Practice, and 2012, the model of care we have adopted “Relationship Centered Care” was recognized as a Leading Practice. We are also required to meet the Personal Care Home Standards legislated by the Manitoba Government. Standards visits are made by Manitoba Health every two years. 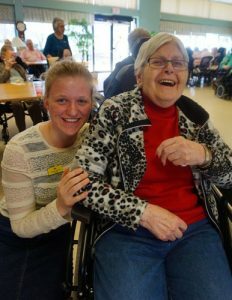 We provide specialized care in Personal Care, Alzheimer’s/Dementia Care, Young Residents, Behavior Treatment, and Respite Care. We are the only Personal Care Home in Manitoba with a Behavior Treatment Unit. It is a specifically designed unit and program for those having difficulty adapting in a normal care environment. The Behavior Treatment Unit also has an Outreach Program that provides support and assistance to other facilities throughout Southern Health – Santé Sud and beyond. We were the first rural facility in Manitoba – acute/long term care to use Electronic Health Records. We were the first facility to introduce dietary information electronically in 1996. We use the Suzy Q model of meal service offering choice to residents at meal time. We are the only organization in North America to use the QUIS-EH-O measurement tool which measures the resident’s real life experience at Salem Home. We employ over 300 staff. We have a multi-national staff – British, Brazilian, Dutch, German, Russian, Filipino, Pakistani, East Indian, Mexican, Canadian, etc. We have a dedicated group of about 200 volunteers who spend time with residents. We contract a Paid Companion Program for residents needing more companionship. We provide practicum experience to educational programs from Assiniboine College Practical Nursing Program, Brandon University Psychiatric Nursing Program, Red River Community College Health Care Attendant Program, and University of Manitoba Social Work Program. Salem Home is owned by 13 Mennonite Churches within the Winkler and surrounding district. Both the churches and community are involved in providing programs to the residents. The number of programs range from 300 to 400 per year.